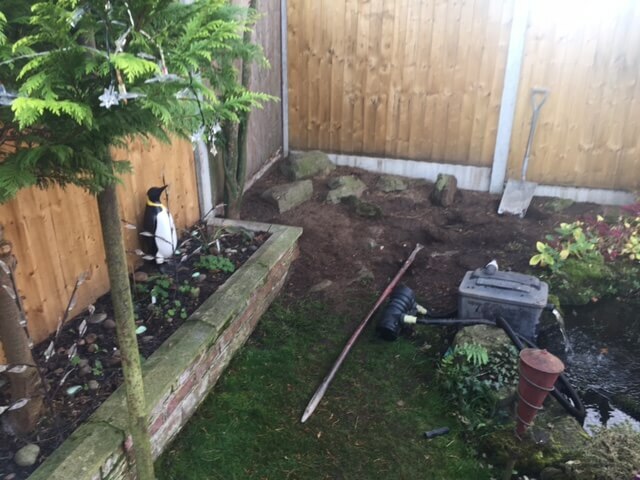 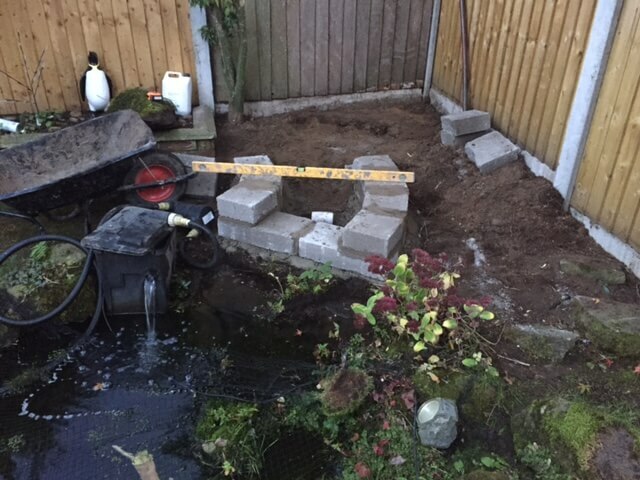 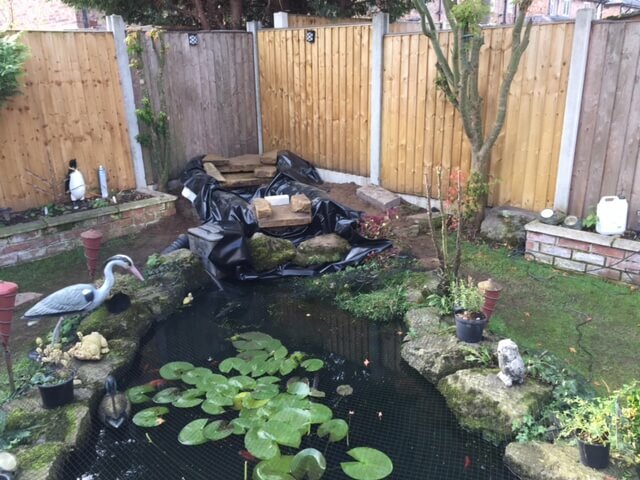 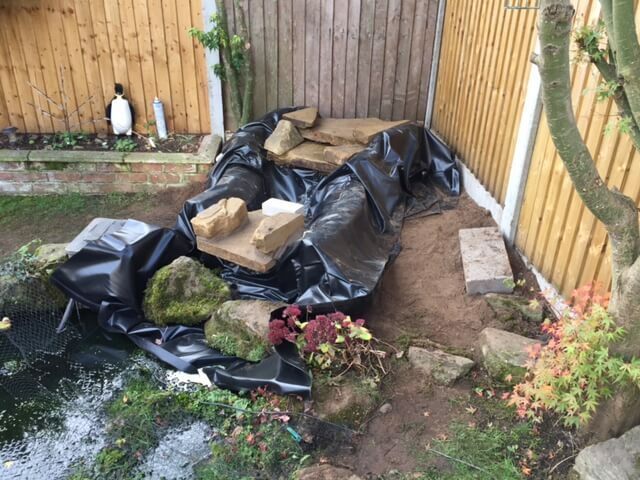 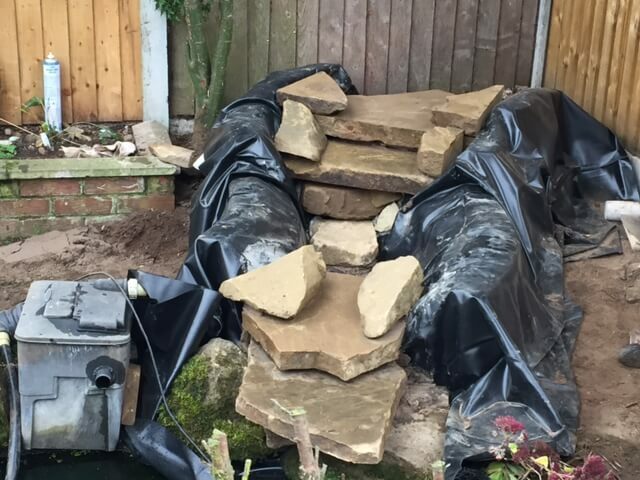 Here we created a rockery waterfall to the existing pond. 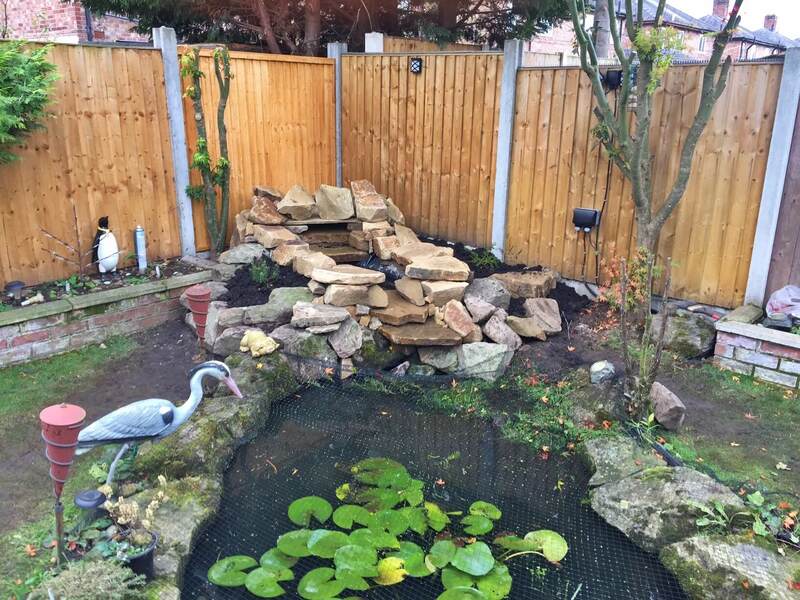 This project was carried out in the Warrington area of Cheshire, Merseyside. 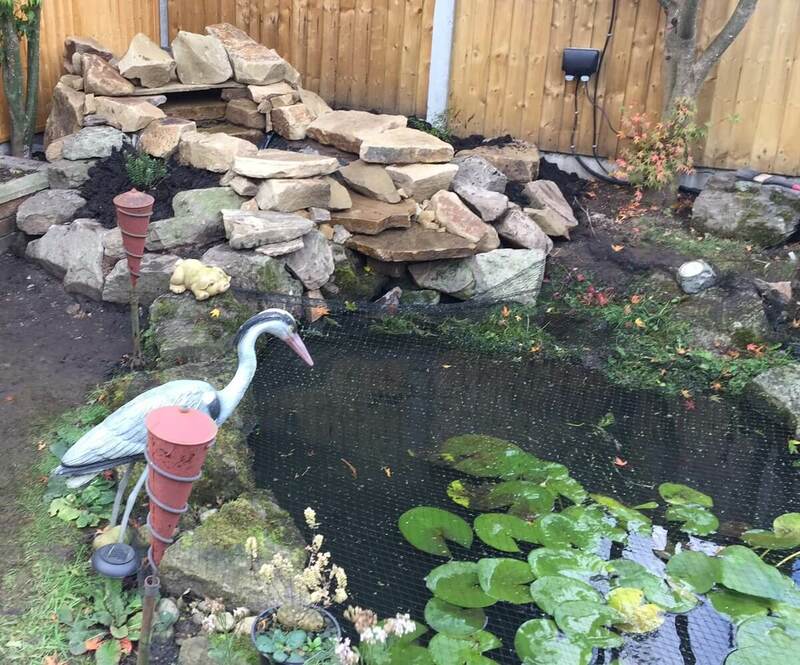 Cascade water features are a great way to add life and movement to a pond, bringing the benefit of increased oxygenation which promotes beneficial bacteria and fish health too. 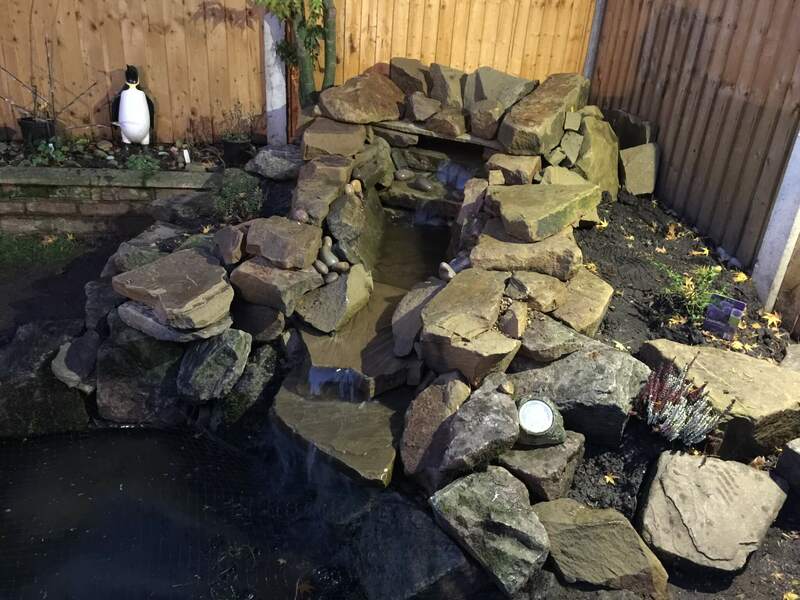 Water features can create a key focal point in your garden if correctly placed in an area where it will draw attention. 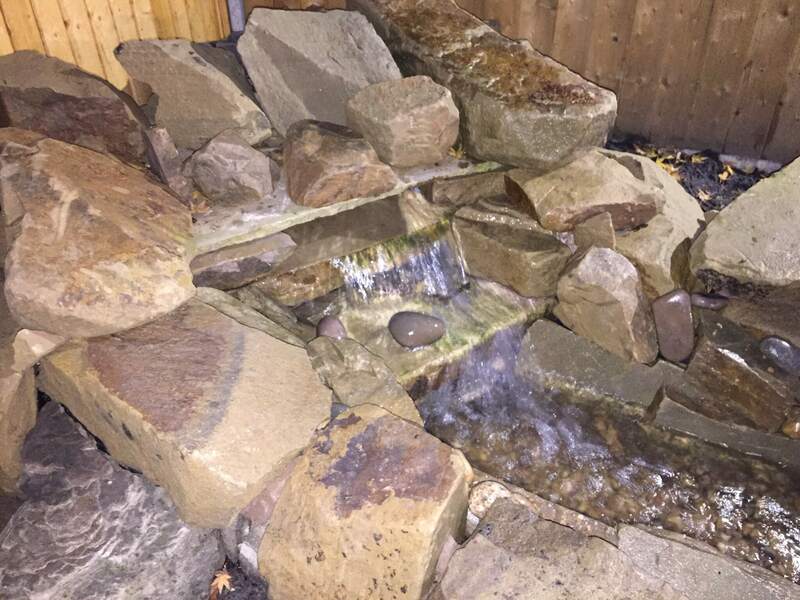 The sound of water moving and falling can bring tranquillity to your garden, shutting out the sounds of the outside world.